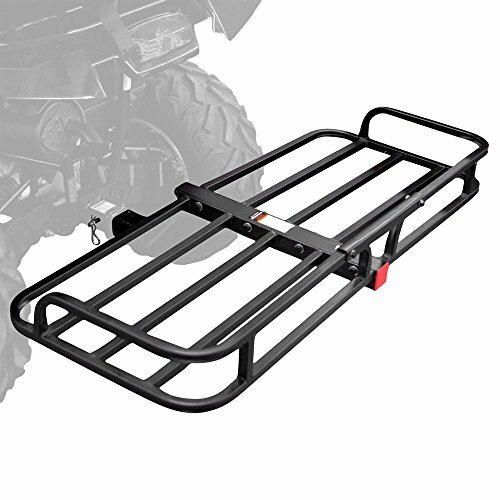 48" ATV Cargo Carrier - Rear cargo storage basket for ATV's with a 2" receiver and 5/8" pin hole. Works with ATV hitches recessed up to 9". Maximum 150 lb. load capacity. Includes 5/8" hitch pin. Heavy duty steel tube construction with a black paint finish. Works with ATV hitches recessed up to 9"